The state of Arkansas offers several programs that help home buyers to go through the process with as little hassle as possible. The Arkansas down payment assistance programs make sure that even the middle class and less than able to afford people can be home owners and have a residential security in their lives. 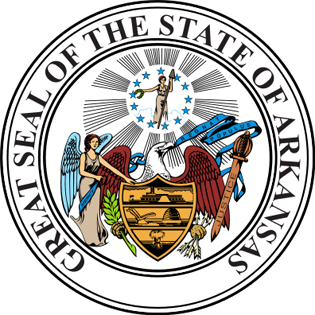 New home owners are automatically qualified to make use of the Arkansas down payment assistance programs for their benefits and own the property with the help of the program provided by the state. The Arkansas down payment assistance program also connects the inexperienced home buyer with a proper realtor in the area in which you want to own a home and also the realtors who specialize in making new home owners feel safe and secure with the transactions involved when buying a property or house in the state of Arkansas. The lenders that assist any home owner with the program will evaluate the home buyer’s loan application firstly, and notice the income and debts in the past, the assets already owned and its values, the credit score of the loan applicant and the property they want to purchase after the loan has been approved. The pre-approval of a loan will be given only after all the criteria have been met. Pre-approval of a loan practically means that the seller of the house or property has assurance from the loan giver that the money will be paid duel and that no confusion or cheating would happen in terms of money. The usual amount of money that can be borrowed on purchase is twenty per cent of the house value, but some Arkansas down payment assistance programs allow flexibility on the percentage depending on the borrowers’ credit scores, past debt clearances and income per year. Below are a list of mortgages that allow down payment assistance programs. Down Payment Assistance Program This Arkansas down payment assistance comes in the form of a 10 year amortizing second mortgage loan at a 4 percent interest rate. The program offers up to $6,000 in Arkansas down payment and closing cost assistance. Dream Down Payment Initiative This Arkansas down payment program is designed for low income first time home buyers purchasing a single family home in the state. ADDI funds are granted in the form of a forgivable second mortgage up to 6 percent, or $10,000, of the purchase price (whichever is smaller). Jacksonville Buyers Assistance If you desire to live in the city limits of Jacksonville, this program will pay half of your out-of-pocket expenses at the time of closing not to exceed $3,000. Jonesboro Homeownership Assistance Owning a home is part of the American Dream. The Grants and Community Development team can assist those trying to achieve homeowner status with the application of CDBG funding. One of our primary goals is to help expand home ownership opportunities to our low and moderate income citizens. Arkansas housing agencies are your best resource for down payment assistance programs. Through funding from the US Department of Housing and Urban Development, the purpose of these agencies is to ensure that affordable housing is available for everyone. This entry was posted in Arkansas and tagged arkansas, down payment assistance, grants, housing authority, programs. Bookmark the permalink.